Black Friday and Cyber Monday 2016 have been and gone, but retail marketers are under pressure to maintain Cyber weekend levels of website traffic throughout the key Christmas retail period, and beyond, to deliver a constant flow of online sales. Retailers need a customer acquisition strategy which reaches the maximum number of relevant people, with the right offer at all stages in their customer journey, at the lowest cost per thousand, to deliver highest ROI. Sounds simple, but in reality not so easy to get right. Automated programmatic media buying has made this process much more effective, but retailers still must make fundamental decisions about media channel mix, which can have an enormous impact on revenue. Advertisers know that to be most effective, they must deploy a multichannel strategy, retargeting consumers using a variety of media touchpoints, but unfortunately there’s no magic formula as to which channel works best at each touchpoint every time. Instead, they use performance data to test, learn and optimise, armed with an understanding of each channel’s unique strengths. Until someone develops the magic channel mix formula, what we can do is use the data we have to inform ad spend allocation by channel. In our case, this means using data from the 7 million plus emails we send each week for our retail clients to understand where email advertising and email retargeting can be plugged in to a multichannel customer acquisition strategy, to supercharge results exponentially. And here we unapologetically advocate for email, an often undervalued channel in the customer acquisition process. Because email really does work, and the data shows just how effectively. It’s a fact that more people can be reached by email than any other channel. 87% of the UK population (56 million) have an active email address, and more than 60% of these check their email 1-4 times per day. Contrast this to the channel with the next highest reach, social media, which reaches 59% of the population (38 million). Email has a scale that no other media can get close to. Plus, email addresses tend to be stable for longer, with the average primary email address in active use for 10 years, versus postal addresses for example, which change much more frequently. Email has the ability to deliver an unparalleled volume of relevant website clicks, but also offers the lowest cost per thousand, highest ROI, and highest levels of consumer engagement of any media channel (74% of consumers rate email as their #1 preferred channel to receive offers from brands, Consumer Email Tracking Study, Direct Marketing Association). It’s fair to say that email packs a punch on several key marketing metrics. Using email send data from ESBConnect’s premium Marketplace email platform, we consistently generate CTRs of 5% for retail advertisers (in line with first party data send results), which is 70 x higher than the average 0.07% CTR for display. And the average Cost per Click (CPC) of email is 40p, vs average search CPC of £2.50, making email roughly 80% more cost effective in generating the same number of clicks. So how do the numbers stack up if you shift a small percentage of ad spend out of search and into to email for example, to run a multichannel campaign retargeting consumers across display, search and email? What are the potential risks and rewards of re-allocating budget in favour of email? For the sake of an example channel comparison, we modelled what the effect on total number of campaign clicks generated would be, if an advertiser re-allocated 10% of ad spend from search to email, which is arguably a small enough percentage to minimise risk either way. Email delivers 6 x the return on investment of search, and 14 x the return on investment of display, at the same budget level. To see what effect adding email to a multichannel campaign would have on total campaign clicks, we modelled two simple channel mix scenarios using the same total ad spend. So marketers can generate an additional 10,500, or 20% more, clicks for exactly the same overall ad spend, simply by re-allocating 10% of budget to email. 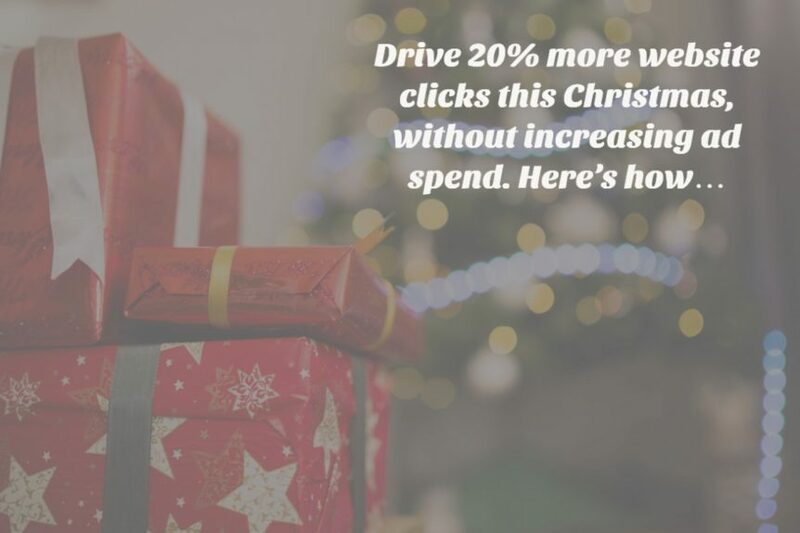 To put this into context when anticipating potential sales, assuming a conservative 2% click to conversion rate, this would generate a potential additional 210 conversions from the same £50k budget. A dramatically improved return on investment, for no additional spend. Setting aside a straight numbers comparison for a minute, it’s also worth considering the fact that all clicks are not equal – different channels offer clicks of different relative value, depending on your objectives. Search is certainly highly effective in generating a high volume of leads, and display advertising in particular has an incredibly important role to play in raising awareness of any brand. However, email offers a comparatively higher click to conversion rate due to the fact that consumers are more engaged with a brand they have opted in to receive advertising messages from. Email leads are also likely to be better qualified leads because the email format allows for a greater level of qualification, plus as 74% of consumers have actively expressed a preference for brands to communicate with them via email over any other channel, they are already more receptive to receiving messages via the email channel. Above all, this modelling illustrates how important testing a multichannel strategy is in optimising ROI, particularly in the powerful cumulative effect of seeing a brand’s messaging across multiple media touchpoints.